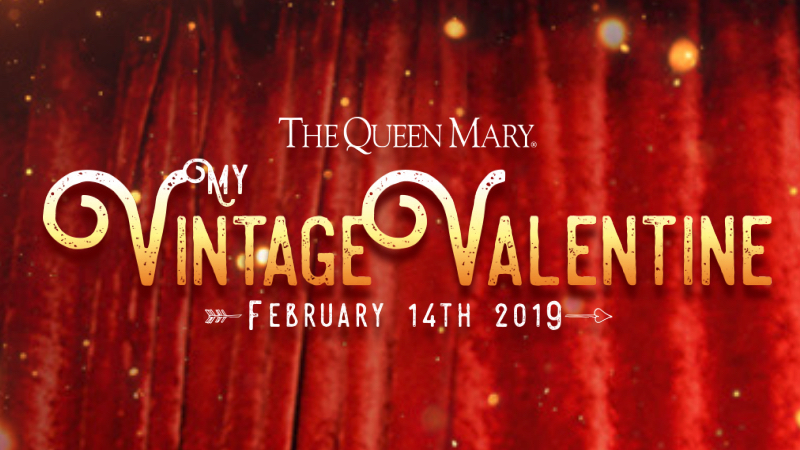 My Vintage Valentine will come aboard the Queen Mary on February 14 for a romantic evening with a signature four-course dinner and special show, to be enjoyed with your Valentine. Upon arrival, guests will be greeted by cupid in the Windsor Salon and ushered into the Grand Salon for their dinner seating. In addition to a decadent meal, this unforgettable affair features a four-course love story performed by Cirque Berzerk and Love in the Fire. The show will also include vintage burlesque performances, a steamy tango duet, and captivating contortionists. My Vintage Valentine offers two seating times, the first at 5:30 p.m. for $250 for two people and second seating at 8:30 p.m. for $270. Tickets are available in pairs and seating is first come first served. Beverages are not included in the price and available for purchase throughout the evening.